Featuring contributions from: Alexis Neely/Ali Shanti, Tanya Lynn, Alis Mao, Alokananda, Olana Barros, Rima Bonario, Allison Conte, Lainie Love Dalby, Dana Damara, Aurora Farber, Samantha Sweetwater, Nicole Hemmer, Cristina Laskar, Grace Lawrence, Amanda Leigh Patti, Megan Luther, Mia Luz, Maribeth Morrissey, Kate Mulder, Alexandra Pallas, Gavin Pauley, Cora Poage, Steph Ritz, Easula Sedlmaier, Samantha Sweetwater, and Scott Watrous. Dive into the Money Map to Freedom process, for free, and get started creating your own Money Map. Are you unconsciously blocking your financial success? Learn the 3 Keys to creating and sustaining financial sovereignty. Download Your FREE Financial Sovereignty Map and discover what’s missing from your prosperity practice. Plus, get this free bonus to go deeper: Understanding the 5 Principles of Self-Sovereignty. Receive your FREE ebook: "How to Lead Circle" where you'll discover 7 secrets to get women raving about your circle. Sistership Circle has developed a proven system to have women engaged, connected and wanting more. This is for you if you want to become an effective transformational group facilitator. Receive a FREE 30-min Spiritual and Energy Healing Session. Receive your FREE copy of “The Fireheart Guide to the Universal Laws”. Receive Nicole’s FREE Soul Inspiration Series. Within the Soul Inspiration series, Nicole shares inspiring examples, practices, tools and experiences connected to living a life in unlimited abundance, and mastering the jewels of our soul’s journey through thriving and true inner fulfillment. Have you been playing small, perhaps hiding, or are afraid of the big vision you know your Soul is calling you to step into? You are NEEDED NOW more than ever! 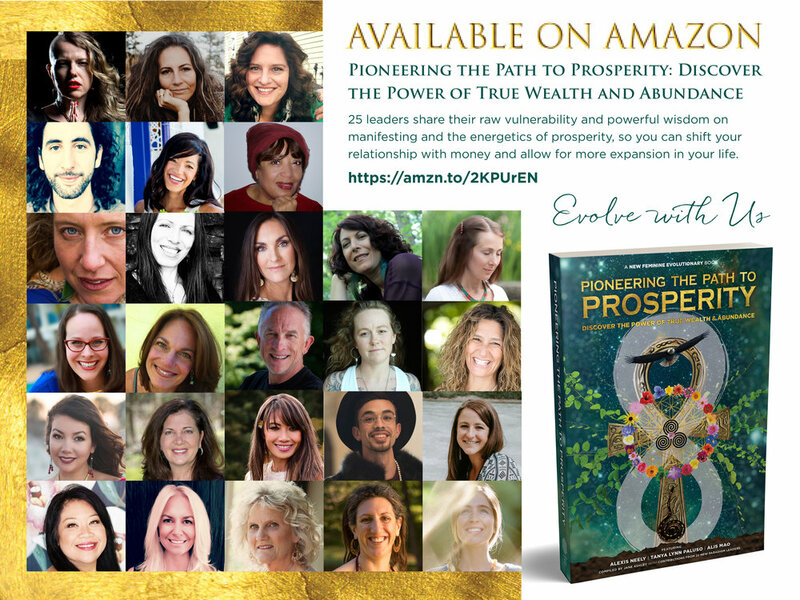 Receive my FREE ebook, “A Leader’s Call To Rise: 6 Essential Keys to Raise Your Light For Your Tribe to Find You"
Receive your free audio meditation: “Discover Your Mythic Essence & Create A Life of Abundance”. Get instant access to “Epic Story Prompts For Entrepreneurs: How To Position Yourself As An Expert In Your Writing”, Steph Ritz’s world-renowned quick start guide to make copywriting easy! Receive your FREE #SOULSPARKLE Starter Kit to begin the journey today! It’s a 13 day experiential course to claim your worth, embrace radical acceptance and gain the courage to Just be YOU! Yoga Nidra is a systematic relaxation practice and guided meditation to expanded states of the field of consciousness, beyond the five senses. This wisdom teaching is a portal into one’s authentic nature, where the timeless self resides. Receive a 50-minute experience from Megan. Access your FREE audio: "3 Simple Exercises to Improve your Intuition". Create your free Connectavid profile. When you do, Cristina will plant a tree for you with Eden Reforestation Projects! Access your FREE video ”How To Manifest When You Are Going Through Life Changes and Stress”. Quiet the monkey mind chatter. Find your True Self and voice. Live in peace, flow, harmony, and magic. Receive Cora's "7 Days to Living PRESENCE and PEACE". Receive Amanda’s 3 part video series on gratitude: "Shift your World through One Powerful Practice”.